George is always having fun! George M. Caywood was born in Tucson, Arizona, in 1938. He spent the majority of his childhood in San Diego, California on Coronado Island where his father had hoped to find work. Although his younger years were not without tragedy or hardship, George found comfort and happiness in his sisters and brother: Evelyn, Ruby (deceased), David (deceased), Judi, and Ruth. In 1965, George was married and subsequently had four daughters. 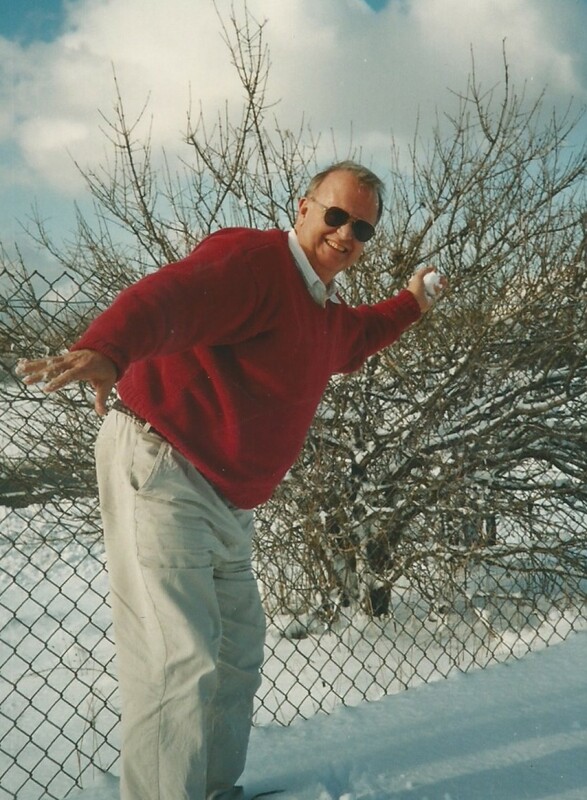 He remembers with fondness the family bike rides, camping trips, game nights, reading nights, and sports/cheer events. He loved having all girls and when asked if wished he had a son, he always responded that his idea of a double date was him and two girls (his daughters think he loved the attention and they loved giving it to him). George spent his career working with homeless people. In the early 1970s, he started as a chaplain at Union Rescue Mission in Los Angeles and ultimately became the President and CEO. During his tenure, George raised millions of dollars for a new state-of-the-art homeless facility in downtown Los Angeles. Although this accomplishment was monumental, George mostly remembers the lasting friendships he made with homeless men, women, and children who changed his life. He thinks about them often and hopes to someday reconnect with those whom he has lost contact. Today George lives a quiet and peaceful life. He enjoys reading, writing, stretching, and riding his bicycle along the beach. He recently discovered the wonder of the internet and email, and loves staying in regular contact with family and friends. If you talk to George, at some point he will likely give you the following sage advice: “Don’t let anyone steal your joy!” George has mastered this wisdom for himself and spreads his joy to whomever will talk to him. He is loved by all.